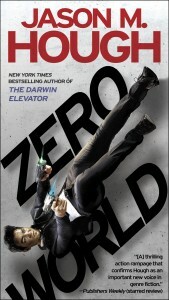 kt literary » Blog Archive » NYT bestselling Jason Hough’s ZERO WORLD in Paperback! New York Times bestselling author Jason Hough’s epic science fiction adventure ZERO WORLD is available in paperback today! Join the masses and read (or read again) and please join us in celebrating with Jason! ← SOLD!!!! Congratulations to Jane Kindred!